Create, Edit, Protect and Convert PDF documents to multiple formats within .NET-based applications without any Adobe Acrobat dependencies. Open NuGet package manager, search for Aspose.PDF and install. Aspose.PDF for .NET is an advanced PDF processing and parsing API to perform document management and manipulation tasks within cross-platform applications. API can easily be used to generate, modify, convert, render, secure and print PDF documents without using Adobe Acrobat.  Moreover, API offers PDF compression options, table creation & manipulation, graph & image functions, extensive hyperlink functionality, stamp and watermark tasks, extended security controls and custom font handling. Aspose.PDF for .NET supports popular file formats such as PDF, XFA, TXT, HTML, PCL, XML, XPS, EPUB, TEX and image formats as well as allows to create PDF documents directly through the API or via XML templates and can create forms or manage form fields embedded in the PDF documents. An overview of Aspose.PDF for .NET capabilities. Aspose.PDF for .NET supports .NET framework. Aspose.PDF for .NET supports most popular file formats. With as little as 2 lines of code, you can implement robust PDF to Word, PDF to PowerPoint or PDF to HTML conversion features for your .NET applications. Furthermore, you can either transform each page of a PDF file to conventional raster & vector image formats such as BMP, JPEG, PNG, GIF, EPS, SVG or convert whole PDF to multi-page TIFF. You may also convert PDF files to XLS, EPS, SVG, XPS, LaTex, TXT and PDF/A format with ease. Aspose.PDF for .NET offers the capability to create PDF documents from scratch. You can use its API or transform images, XML, XSL-FO, HTML, SVG, PCL, XPS, EPUB or simple text files to PDF documents. Moreover, you can specify XMP metadata, author details, creator details and title information during the PDF generation. Aspose.PDF for .NET is also a good choice when you need to edit or manipulate existing PDF documents. It allows you to concatenate or merge two or more PDF documents, append new pages to an existing PDF file, extract pages, insert pages at a particular location in an existing PDF file, split PDF documents or create N-up's (number of pages over the single page) and booklets. Aspose.PDF for .NET offers the facility to encrypt and de-crypt PDF documents with either 40-bit,128-bit or 256-bit encryption, and provides the ability to specify user passwords for further PDF security. Content modification in PDF documents such as copying content, printing the file, completing form fields, degraded printing, annotation modification as well as PDF document assembly can also be restricted. Aspose.PDF for .NET allows you to further improve PDF security mechanism by using PKCS#1, PKCS#7 and PKCS#7 detached signature types, and with the use of the digital certificate. You may specify the certificate level and set the graphical appearance of the signature as per application requirements. Aspose.PDF for .NET also supports importing & exporting form fields data from XML, FDF or XFDF files. Moreover, you can bind form fields with OLEDB or ODBCDB data sources. 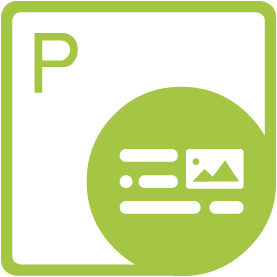 API also allows to import an image or barcode, get field data with rich text formatting or add submit button to post data to a specified URL. Aspose.PDF for .NET allows you to specify page size and page margin size of each section within a document. Page background images for each section, page header and footer sections can also be set. Unique ID's can be assigned to each section of the document. Aspose.PDF for .NET facilitates the addition of multiple paragraphs to each and every section of the document. You can also specify the exact margin of each paragraph. Aspose.PDF for .NET provides support for many different types of graphs: graphs can be drawn on any page location specified by coordinates and existing graphs can be rotated and scaled to suit your requirements. You may also try converting images residing on disk, memory or web location, to PDF format. Along with conventional image types, CCITT (fax) images, multi-page TIFF images and transparent GIF images are also supported. Aspose.PDF for .NET also allows you to add, replace, extract or delete images already present in a PDF document. You may also add images as watermark while generating PDF documents or manipulating existing files. Aspose.PDF for .NET allows you to add tables to PDF documents, where you can specify the table border style, margin and padding information, column widths and spanning options, control row splitting attributes, create nested tables, clone table objects or simply import data from an object array, data table or data view. Default cell formatting can be applied to entire table cells, create individual rows and columns, add repeating rows or create nested tables. Tables can be placed inside the main PDF document or inside the header and footer sections. Aspose.PDF for .NET allows you to add hyperlinks pointing to other pages within the same PDF, hyperlinks to pages in other PDF documents, hyperlinks to non-PDF files or you may add hyperlinks towards any web location. Along with hyperlink creation, get the capabilities to extract hyperlinks from a PDF document. Get the power to add, update, import, export or delete attachments and annotations. Files of any type can be attached to a PDF document and annotation types such as a polygon, polyline, pop-up, rubber stamp, caret, free text and many more can be added. You may also specify icon type, coordinates and opacity values. Aspose.PDF for .NET allows to apply text alignment, place contents in right-to-left languages such as Arabic, Hebrew and Urdu, create left hanging text paragraphs, preserve white space in the text, set custom tab stops. You may also define text formatting for all segments of a document. Along with the ability to specify horizontal alignment of the text, you can also specify vertical alignment of text segments such as baseline or topline. Text foreground and background colors can also be changed. You may use replaceable symbols which allow you to change the corresponding text content at runtime. This product is great when it comes to text extraction, text replacement and insertion of new text inside an existing PDF document. Aspose.PDF for .NET APIs are built using managed code that can be installed and deployed as a single .NET assembly without needing Adobe Acrobat installed. It is easier and flexible to use compared to Adobe Acrobat automation. Don't just take our word for it. See what users have to say about Aspose.PDF APIs.